Matthew specialises in patent litigation, opinion work, SPCs and regulatory advice. He has particular experience of acting for clients in the pharmaceutical and life sciences industry sectors. Matthew’s regulatory advice focusses in particular on the procedure before grant of a marketing authorisation. He has advised, presented on and published articles in relation to data exclusivity, reference products of the global marketing authorisation, the biosimilar regulatory process including the detailed guidelines, orphan drug products, paediatric extensions and the clinical trials regime. He has also advised on judicial review proceedings against a decision of the MHRA. Matthew has acted for clients in a number of patent actions in the High Court, Court of Appeal and the Supreme Court in the UK. Matthew has acted on litigation relating to biosimilar launches, in particular Hospira v The Kennedy Institute of Rheumatology (infliximab) and a number of trials and appeals relating to trastuzumab (Hospira v Genentech). He also acted for Mylan in the Supreme Court relating to infringement and validity of second medical use patents. 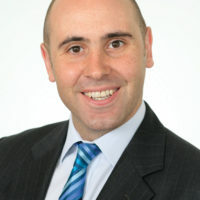 Matthew also has experience of coordinating multi-jurisdictional litigation around Europe. He has a first class degree in Medical Microbiology from Edinburgh University and a PhD in Medical Microbiology from Cambridge University that involved a variety of molecular and cell biology and immunological techniques. He gained a Diploma in Intellectual Property Law and Practice from Bristol University in 2007. Matthew regularly speaks and writes on litigation and regulatory issues.